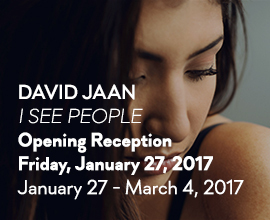 Buffalo, NY– On January 27, CEPA Gallery (Contemporary Photography & Visual Arts Center) opened the 2017 CEPA Gallery Members’ Exhibition. Photographers Natalie Dilenno and Orin Langelle received the 2017 Exhibition Awards. Both Langelle and Dilenno will have a solo exhibit at the CEPA Gallery in 2018. 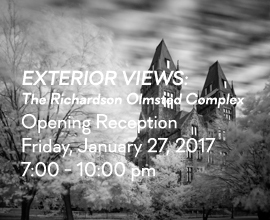 CEPA Gallery’s 2017 Members’ Exhibition features the photography and photo-related work of some of Western New York’s most talented artists. 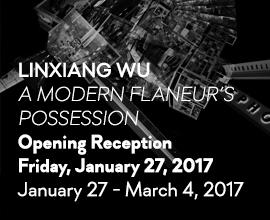 The exhibit runs until March 4, 2017. The juror was Maiko Tanaka, the new Executive Director at Squeaky Wheel Film and Media Arts Center. Langelle is the Director of the ¡Buen Vivir! Gallery for Contemporary Art and Langelle Photography in Buffalo, NY. Langelle also serves as the Strategic Communications Director of Global Justice Ecology Project. Langelle Photography and the ¡Buen Vivir! Gallery for Contemporary Art are part of Global Justice Ecology Project’s Social Justice Media Program. 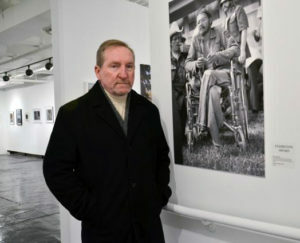 Orin Langelle is a concerned photographer, who for four decades has been documenting social and environmental struggles. Since 1972 Langelle has documented peoples’ resistance to war, corporate globalization, ecological destruction and human rights abuses. His first photographic assignment was to cover the protests against the Vietnam War at the 1972 Republican National Convention in Miami Beach. 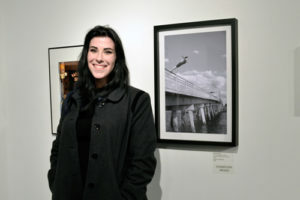 Langelle’s Exhibition Award photograph was from that first assignment (below). Photographs of Natalie DiIenno and Orin Langelle, courtesy CEPA Gallery. The CEPA Gallery is located at 617 Main Street, Buffalo, NY 14203. Viewing hours are Monday–Friday, 9:00 a.m. – 8:00 p.m. and Saturday, 10:00 a.m. – 5:00 p.m. Located in Buffalo’s historic Market Arcade Complex, CEPA Gallery is a full-service contemporary photography and visual arts center with impact in both the local and national communities serving approximately 300,000 individuals annually. With four galleries of changing exhibits and events, multimedia public art installations, arts education programs, and an open-access darkroom and digital photo lab, CEPA creates a vibrant presence in the heart of downtown Buffalo. CEPA’s programs are made possible with public funds from the New York State Council on the Arts with the support of Governor Andrew Cuomo and the New York State Legislature and the National Endowment for the Arts. Originally incorporated as the Center for Exploratory and Perceptual Art to serve as a community darkroom and exhibition space, CEPA Gallery was founded during the Alternative Space Movement in May 1974 by recent graduates of the University of Buffalo. Throughout its history, CEPA has strived to reflect the creative priorities for working artists, while growing to accommodate the educational and social needs of Western New York’s diverse community. Over the years, CEPA has evolved into a nationally recognized arts center that is truly international in scope, but regional in spirit. It is now one of the oldest and largest not-for-profit photography-based arts centers in the United States. CEPA remains dedicated to photography and the photo-related and electronic arts, and has developed its programs and opportunities to provide working artists, urban youth, and other individuals with the necessary programs and facilities for the production and reception of contemporary art.